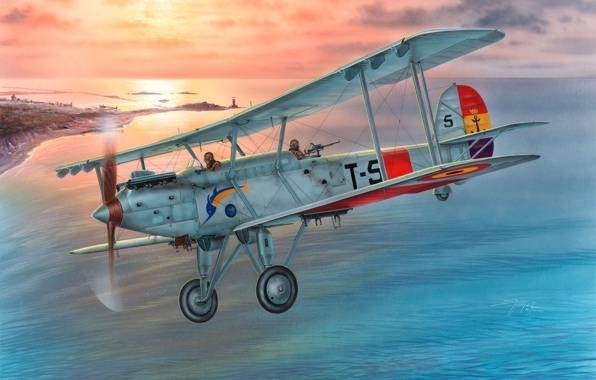 This is the artwork for the toolbox stickers and refrigerator magnets, a Polikarpov I-16 rendered by our very own Phil Thomas. 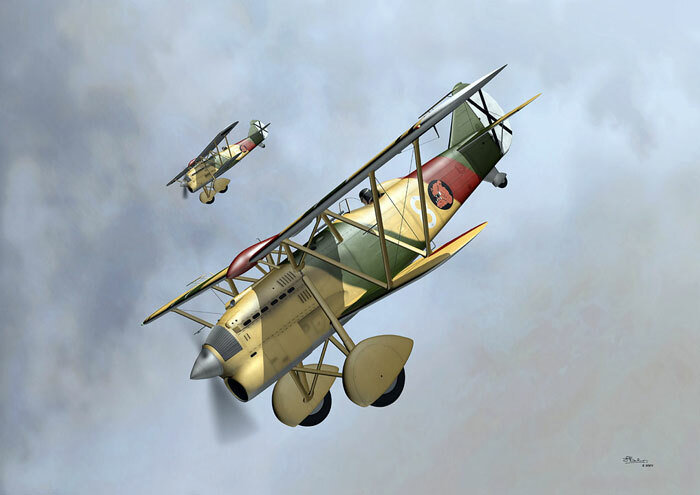 The I-16 was nicknamed "Ishak" or "Ishachok" ("Little Donkey" or "Burro") by Soviet pilots, and during the the Spanish Civil War it was called the "Rata" ("Rat") by the Nationalists or "Mosca" ("Fly") by the Republicans. Contact Tom Arnold to get your hands on a toolbox sticker and magnet before the event! WestFAC VI, October 2017 is a success! 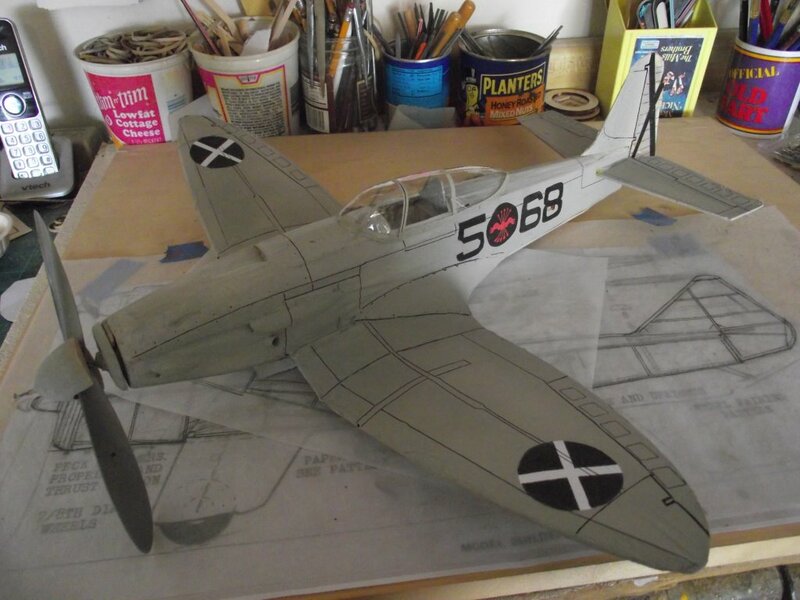 David Wagner again with this model, a "Bf 109D for the Spanish Civil War event. Based on the laser cut Guillows kit, which is a D model, despite the cover art." Simply beautiful. 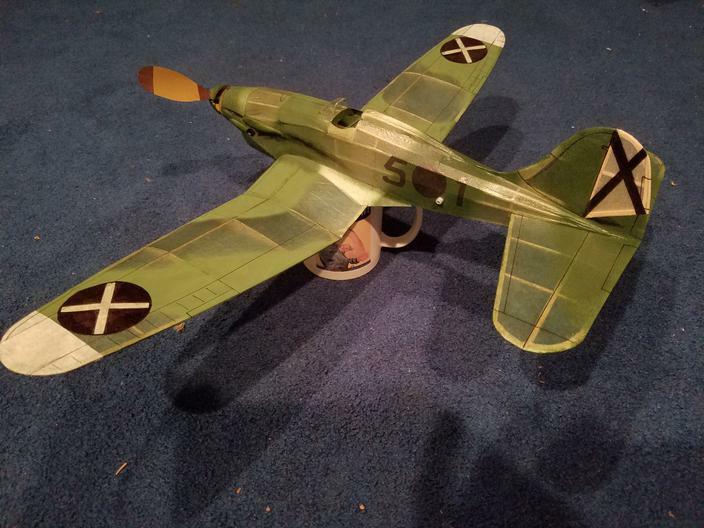 Bob Hodes of Las Vegas sends us a picture of his recently completed Fiat G50 from a PT Aviation (William Scott) kit. Callie Graphics did the markings. 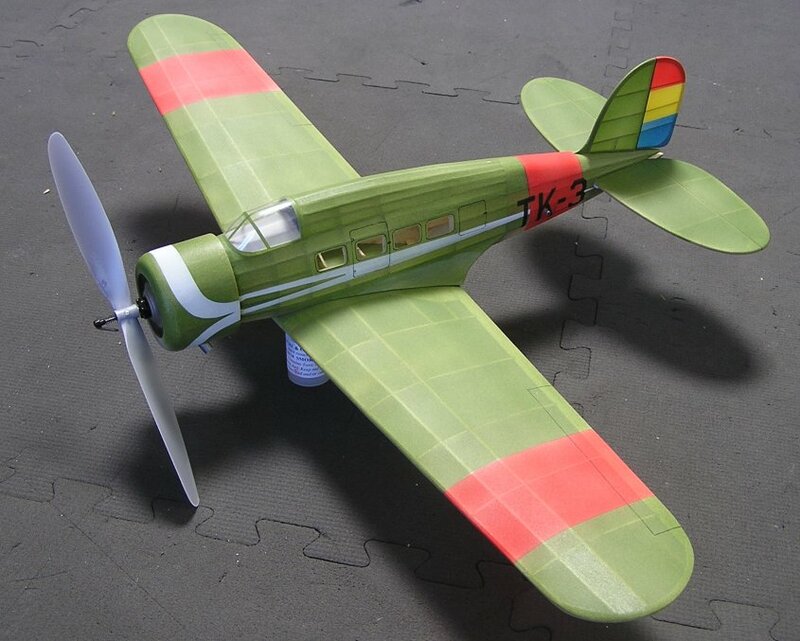 David Wagner for a third time, presenting his Heinkel 112 for the Spanish Civil War theme. This one has a 20" span and is built from a Golden Age kit. Very Nice work, Dave. 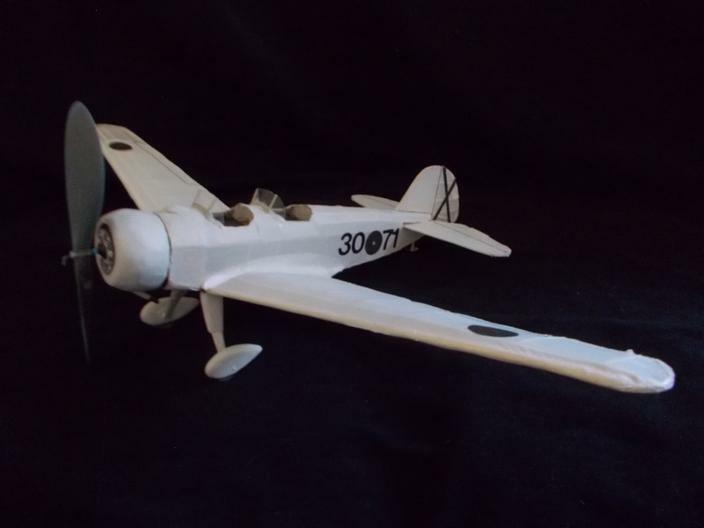 Roger Willis, who apparently has a lot of building time, sends us these pictures of his Heinkel 51. 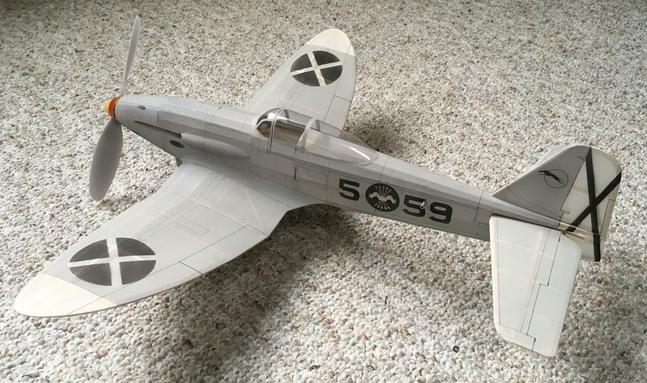 Built from a PT Aviation short kit and finished out in Spanish Civil War markings. Quite a challenging build, Roger reports. 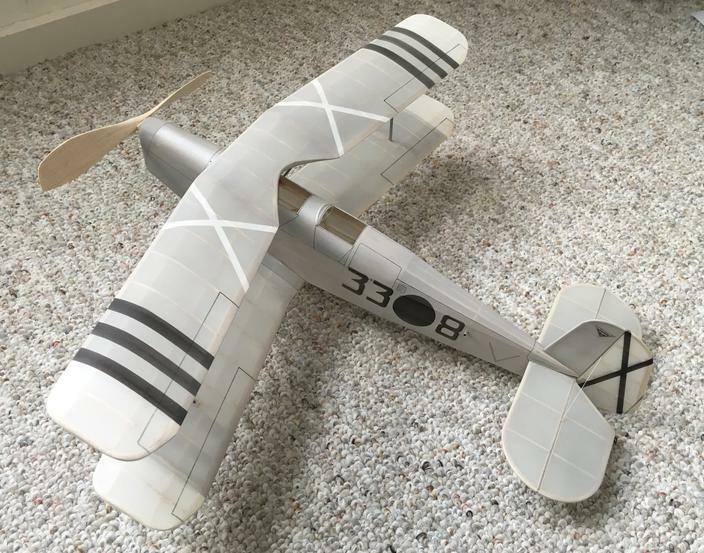 David Wagner sends us another picture of his newly finished Farman. I think David has tapped into the night elves factory that actually makes these for him. Nice work! 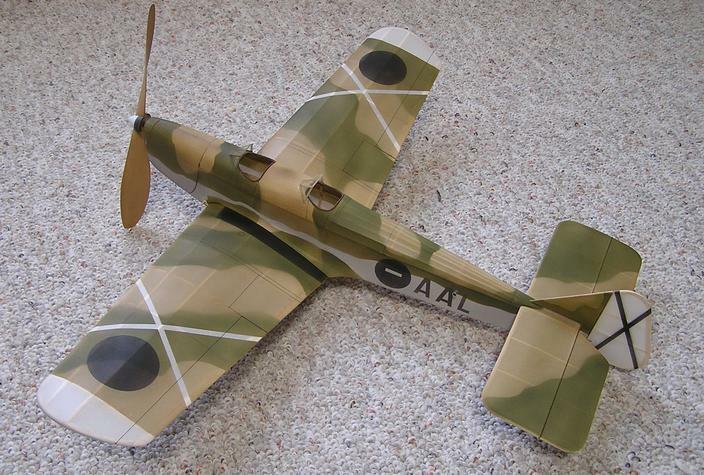 Miles M.2 Hawk in Nationalist colors from the hands of David Wagner. 26" span and built from the PT Aviation kit. 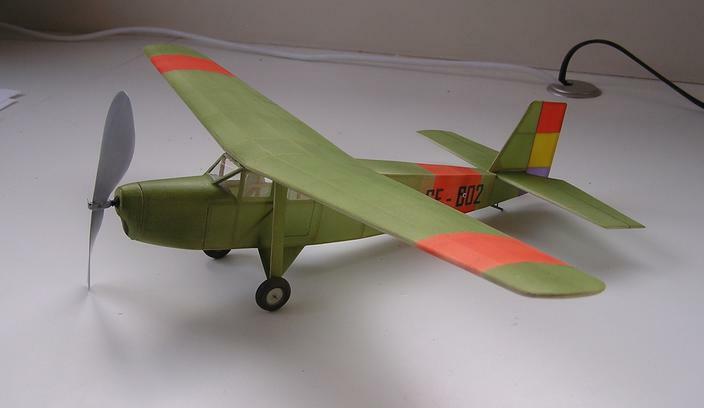 Bucker Jungmann just completed by David Wagner in Nationalist colors. 21" span, built right from enlarged Walt Mooney plans. Prop carved from Don DeLoach blank and finishing method, which he enjoyed. Very lightweight looking model David! 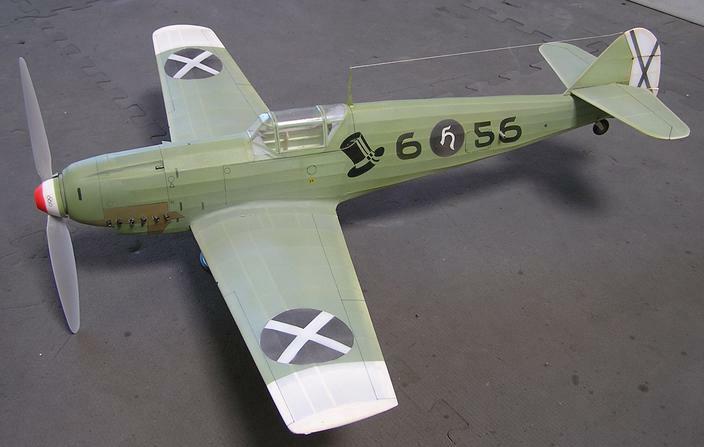 Phil Thomas creates this model, the ME-35 for his latest entry in the Spanish Civil War. 24” span and weighs a scant 44 grams. No details on plans or kit. Great wingspan. Should be a floater. Ba-65 for the Spanish Fly events from Tom Arnold. Wing span: 24" - Weight: 58g-empty. 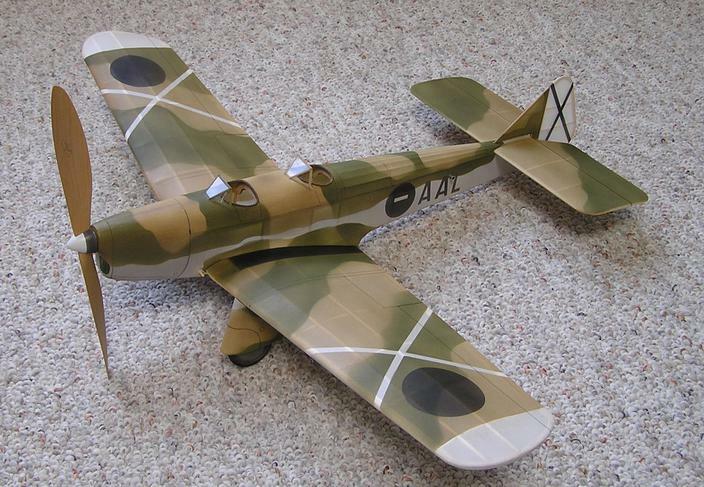 Built from PT Aviation laser kit, printed tissue camouflage, Gizmo Geezer prop, and not flown yet. Excellent tissue job! Rear quarter view of Tom's Ba-65. Rare underside view of Tom's Ba-65. Nice attention to details. 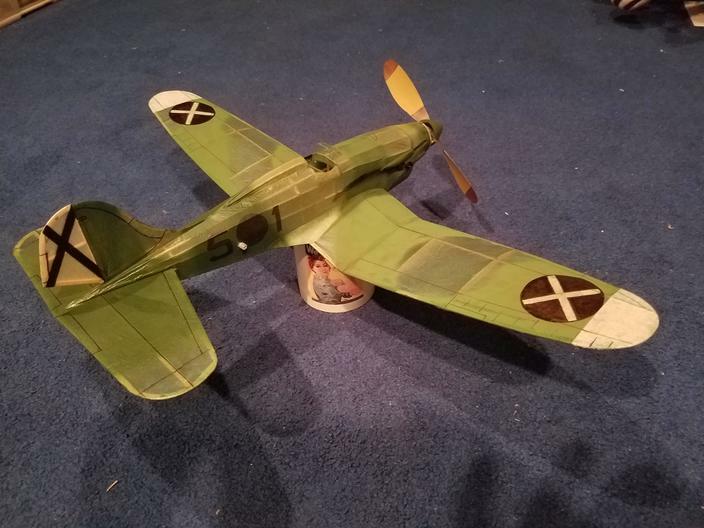 Facsimile of an He112a from Matt King from the Rhinebeck, NY area location of FAC Squadron 28. Weight is about 34 grams w/ motor in it which is a 6-7 gram motor. One loop 3/16 about 2.5' long. Matt is planning to join us this year. That's a long travel. He made it look like the picture of the one on EZB kit from which it was made. The kit is of a 112B actually. He redrew the plans side view(rudder and fuselage were changed). Added about 10% to stab size to contend with short tail moment.Very nicely done and a rare specimen. 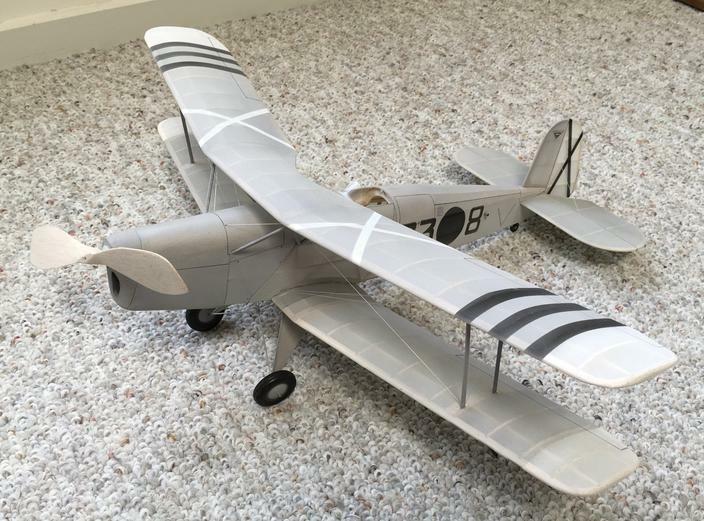 Duke Horn sends us a couple of pictures of his Stinson Reliant SR-10 in Republican colors. Built from a Comet kit, it spans 25" and weighs in at 39 grams.No flight reports as yet. One more shot of Duke Horn's Stinson Reliant SR-10. Markings are well done..